Interested in honing your oyster shucking skills or looking to learn? Join ORP at McGarvey’s, where our master shucker will guide you step by step using hands-on instruction. A $30 fee covers all supplies including oysters, gloves, your shucking station and a “graduation gift” – your very own knife! Event will also feature tastings of Flying Dog’s Pearl Stout and Oyster Bay’s Sauvignon Blanc. Must be 21+ to participate. Event typically sells out quickly! Generously sponsored by McGarvey’s. 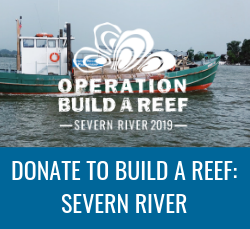 Proceeds benefit the Oyster Recovery Partnership, an Annapolis-based nonprofit and national leader in Bay oyster restoration.